It turns out that Virginia’s New River Valley has its very own design studio. It’s part of a non-profit community development corporation called Community Housing Partners (CHP) that works throughout Virginia and the surrounding region. The Community Design Studio (CDS) is located in Christiansburg, VA, about 8 miles from my house in Blacksburg. And I went and moved 800 miles to work at a design studio in Biloxi, Mississippi! I must be crazy. I found out about the CDS through its connection to the Rose Fellowship Program. The Rose Fellowship is a three-year architectural fellowship supported by Enterprise Community Partners in which designers are placed to work with community development corporations. The CDS was begun by a Rose Fellow, Colin Arnold, who started working at Community Housing Partners in 2001. It has grown since then and currently has 4 full-time staff (including another former Rose Fellow, Joshua Galloway) and 4 AmeriCorps VISTA members. When I was in Virginia in the beginning of April, the CDS staff was kind enough to give me a tour of their studio and some of their work. Unfortunately, I didn’t have my camera, so I borrowed some pictures from their website for this post. 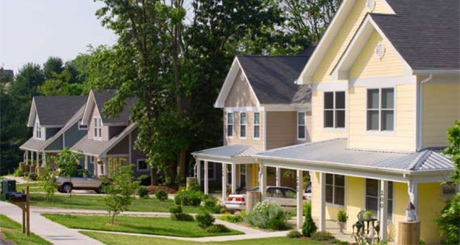 Their projects primarily focus on the development of affordable housing, from single-family houses, duplexes, and townhomes all the way up to multi-unit apartment complexes. This work demonstrates great attention to detail and to the needs of its users, and incorporates an admirable commitment to sustainability. All of the CDS’s projects seek some type of third-party green building certification, depending on the type of project and the means available, whether it be LEED, ENERGY STAR, EarthCraft, or another program. In addition, CHP renovates, weatherizes, and/or manages a significant number of existing affordable housing developments. The renovations focus on energy efficiency, smart use of materials, and quality-of-life improvements. CHP works closely with the building managers and superintendents to ensure that the properties continue to be well-maintained. Finally, the CDS has taken on a number of special projects. 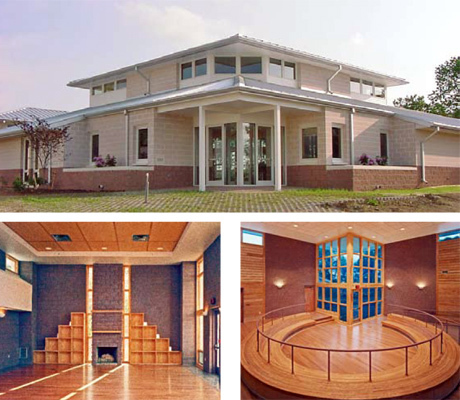 One is the Tekoa Boys Residential Campus, a beautiful modern building designed by Colin Arnold during his Rose Fellowship. The building is currently being converted from a school into new offices for Community Housing Partners. So, head on over to the CDS website and check out more of their work. If you’re ever in Southwest Virginia, they’re definitely worth a visit.